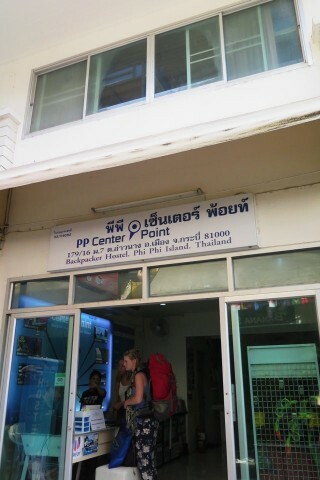 Open since 2013, this is one of our top picks for dorms on Phi Phi mainly because of its friendly traveller’s atmosphere. Set in a shophouse in the village near the Tara Inn, the ground floor has a reception/tour desk and a set of sofas for guests to gather, plus lockers that are free to use. The three mixed dorm rooms with bunk beds are found upstairs, one with 12 beds, one with six and one with four beds, each room with shared bathrooms. If you’re in the 12-bed room you’ll likely have to scoot over to another room or downstairs to the lobby to use the bathroom at times. All the rooms have air-con but it’s switched on only from 18:00 till 11:00, so daytime napping could be a hot affair – something to consider if you’re planning to hit the bars till the wee hours. The price includes WiFi.